We are happy to announce that on the 28th of October Marc O’Reilly will be releasing his new album ‘Morality Mortality’ on Dox Records (Benelux). Marc’s songs can best be described as a combination between Roots and Blues-rock with influences from Folk. On his new album the singer combines his stunning guitar skills with meaningful and melancholic lyrics. The first single ‘Of Nothing’ was recently released alongside an amazing video. 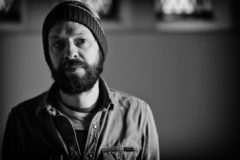 The Irish singer-songwriter will tour the Netherlands once again in the coming months, playing 7 shows through the country.